John Warrillow is the author of Built To Sell: Turn Your Business Into One You Can Sell. Throughout his career as an entrepreneur, John has started and exited four companies. 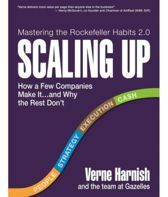 Most recently he transformed Warrillow & Co. from a boutique consultancy into a recurring revenue model subscription business, which he sold to The Corporate Executive Board (NASDAQ: EXBD) in 2008. He is the author of Drilling for Gold and in 2008 was recognized by BtoB Magazine's "Who's Who" list as one of America's most influential business-to-business marketers. 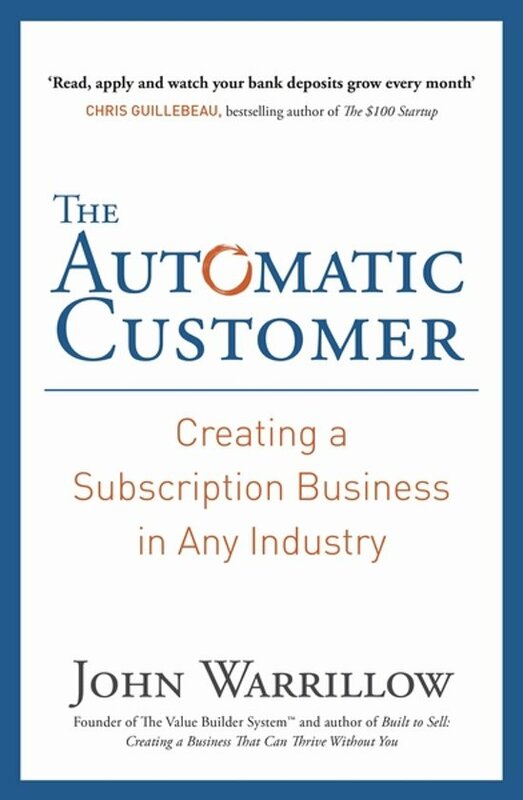 In The Automatic Customer, John Warrillow provides the essential blueprint for turning your customers into subscribers The lifeblood of your business is repeat customers. But customers can be fickle, markets shift and competitors are ruthless. So how do you ensure a steady flow of business? The secret - no matter what industry you're in - is finding and keeping automatic customers. These days virtually anything you need can come through a subscription. Far beyond Spotify and Netflix, companies in nearly any industry, from home contractors to florists, can build subscriptions into their business. Subscription is the key to increasing cash flow, igniting growth and boosting the value of your company. Whether you want to transform your entire business into a recurring revenue engine or just pick up an extra 5 per cent of sales growth, The Automatic Customer will be your secret weapon. 'Read, apply and watch your bank deposits grow every month' Chris Guillebeau, bestselling author of The $100 Startup 'If you have a business, or are thinking about starting one, this book will be the best investment you've ever made' Bo Burlingham, editor-at-large of Inc. and author of Small Giants and Finish Big John Warrillow, the author of Built to Sell, is the founder of The Value Builder System (TM) where advisors help company owners increase the value of their business. Previously, he founded Warrillow & Co., a subscription-based research business dedicated to helping Fortune 500 companies market to small business owners. A sought-after speaker and popular Inc.com columnist, he lives in Toronto.